Supported OS: Mac OS X 10.6, 10.7, 10.8, 10.9 (Mavericks), 10.10 (Yosemite) and 10.11 (El Capitan). Use this for 1 year and renew if you’re satisfied. One-time fee to enjoy free upgrade for lifetime in 1 PC. 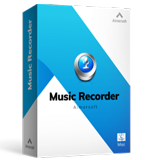 You can use Aimersoft Music recorder for commercial use. The best audio recorder for Mac to record music from online radio station, music sites and video sharing sites. Best Music Manager & Downloader. Aimersoft is a desktop solution provider that offers video and DVD programs for Windows and Mac users, including Aimersoft DVD Ripper, DVD Creator, DVD Copy, Video Converter Ultimate, Video Converter, Video Editor, DRM Media Converter, Music Recorder, YouTube Downloader and Music Downloader. What's the difference between Individual and Business License? An individual license is used for personal computer and it's only available for 1 computer; Business license is used on corporation or company computer, and it has a multi-user option which allows you to use on multiple computers simultaneously. What'll happen after I paid? After paying for a license, Aimersoft will send an email to your licensed email address, with the registration code and program download link. Then you can register the program with the licensed email and registration code in the program you purchased. My company is interested in the business volume. How can I get started? We provide several options for you to achieve directly, including Lifetime License for 2-5 users, and Lifetime license for 6-10 users. If you would like to buy an amount of license for more than 10 users, just enter the business page and send your enquiry. If you have a coupon for Aimersoft products, you only need to enter the purchase page, and add the license to cart, then you’ll see a Discount Coupon option at the upper right corner. Now you can enter the coupon code and buy the program with discount.